We’d love your help. Let us know what’s wrong with this preview of Matthew, Vol.1 (Ch. 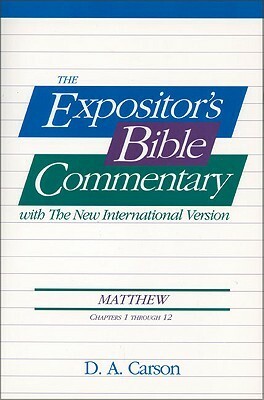 1-12), The Expositor's Bible Commentary by D.A. Carson. To ask other readers questions about Matthew, Vol.1 (Ch. 1-12), The Expositor's Bible Commentary, please sign up. This is his revised commentary from his previous one. So he makes some changes of interpretation, and explains why.